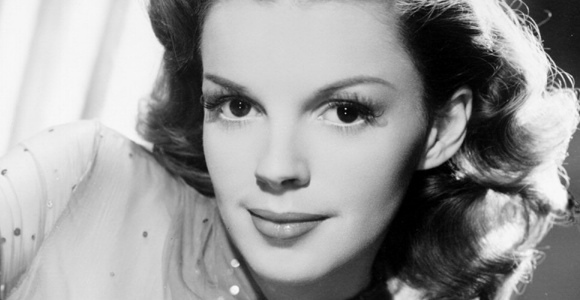 Today is the anniversary of Judy Garland’s birthday. I’m a latecomer to Garland fandom, but I think I’ve made up for lost time in the last couple of years. It doesn’t hurt that she made three movies with Gene Kelly, of course. Since I’ve got a few major films still to catch up on, I didn’t want to do a “favorite movies” post; obviously, since she’s known for her singing talents, a “favorite routines” post was the way to go. Here they are in chronological order, and before you ask: no. “Somewhere Over the Rainbow” isn’t one of them. Enjoy! This is the first Garland/Kelly collaboration, and I just think it’s so charming. They’re both young and gorgeous and have such great chemistry. If you’ve spent any time on this blog you’ve already seen this multiple times, but I hope you won’t mind watching it again. I never do! Meet Me in St. Louis is a great specimen of Judy Garland’s work. It was directed by Vincente Minelli, who married Garland shortly after making the movie. I think that viewers fall in love with Garland through Minelli’s lens, probably just as he was. “The Trolley Song” became a Garland standard for many years, and so it just barely edged out “Have Yourself a Merry Little Christmas” for this list. Judy’s co-star this time around is Fred Astaire (stepping in for an injured Gene Kelly), and here’s my favorite number from this adorable movie. I love that it’s not the usual, glamorous kind of thing, and that both Garland and Astaire embrace the fun. Garland’s facial expressions and little added mannerisms prove what an amazingly talented and dedicated performer she was. These last two picks are straight Judy with no help, and she nails them both. I just love this song, and it’s a major showcase for Garland’s singing. She looks like an absolute knock-out in that red dress, too, and a couple of shots of Van Johnson looking super-handsome in a tux certainly don’t go amiss. I highly recommend this movie, which is another version of “The Shop Around the Corner.” Johnson and Garland have fabulous chemistry, and as always, it’s such a cute story. Summer Stock is the last movie that Judy Garland and Gene Kelly made together, and it’s the last musical she made for MGM. At this point, her many problems were working against her, and I think that seeps into the movie in some ways. It’s very inconsistent: there are some great numbers, but it lacks the sparkle of earlier Garland performances. The “Get Happy” number doesn’t entirely seem to fit the film, in some ways, but it’s such an electrifying moment that I always come back to it as a favorite. It’s a testament to Garland’s huge talent that even with all of her issues, she still commands the screen here. Translating a stage musical (let alone a wildly popular one) into a screen musical can’t be an easy task. There are all the issues of how faithful an adaptation one wants to make, and the use of Hollywood actors versus stage actors, and a myriad other questions that ultimately won’t matter because half of your audience is going to think you ruined the show, regardless of how hard you work at it or how well the other half thinks you’ve done. Tom Hooper took on all those challenges in bringing Les Miserables to the screen. He apparently chose to adhere very faithfully to the original show, albeit with some necessary cuts here and there. He opted for mostly known actors. And, to up the ante, he decided to film the singing live, as opposed to working with a pre-recorded soundtrack, in an effort to bring a new level of introspection and personality to the characters. Predictably, it’s proving to be a polarizing film in many ways. Les Miserables tells the story of Jean Valjean (Hugh Jackman), a released French convict who breaks parole in order to start a new life for himself. He’s become the well-respected mayor of a small town, but he finds his steps dogged nonetheless by Inspector Javert (Russell Crowe), whose single-minded purpose is to bring Valjean to justice. When another man is captured in his place, Valjean comes forward, and must flee from Javert, even while he attempts to fulfill a promise to a dying fallen woman. Fantine (Anne Hathaway) has lost everything in attempting to care for her daughter Cosette, and Valjean promises to retrieve the girl and raise her as his own. To do this he must not only dodge Javert, but also deal with the Thenardiers (Sacha Baron Cohen and Helena Bonham Carter), crooked innkeepers who have been looking after Cosette. Valjean manages to settle down quietly with his new charge for many years, but on the eve of the 1832 Paris Uprising, everything comes to a head. Javert is back on Valjean’s scent, and to complicate matters, Cosette, now a young woman (Amanda Seyfried), has fallen in love with Marius (Eddie Redmayne), a young revolutionary. The second act deals with the failed revolution and its aftermath, in which many will die, and some few will find a happy ending. Les Mis is an intense experience. It’s almost entirely sung, and well, the title translates to “the miserable.” It’s not a happy story for the most part. The music, however, is transcendent and makes the whole thing utterly worthwhile. To take that music and attach it to a big-screen film is a heady experience. The film, while not always beautiful, is visually stunning and sticks close to all of the iconic images that fans of the musical expect. There are, of course, technical complaints about the camerawork, particularly with regard to the practice of extreme close-ups during big solo numbers. I myself didn’t take issue with this, but I can see where it could be annoying to others. My main interest in a dramatic film is typically the acting, and since the camerawork was designed to heighten the performances, it worked for me. More problematic in my opinion was the heavy use of green-screen. It’s an epic show, and a few huge set-pieces and sweeping panoramas are not out of scope. I only wish they’d been slightly more realistic. However. Let’s get back to the performances. With an oft-performed show like Les Miserables, it is to be expected that every single production will be different. Every actor has his or her own interpretation of the role, and every actor brings his or her own set of limitations. I found the performances across the board to be excellent. Much has been made of the performances of Jackman and Hathaway, and for the most part, the praise is deserved. Hathaway in particular maximizes her time on-screen and puts everything she has into the tragic role of Fantine. 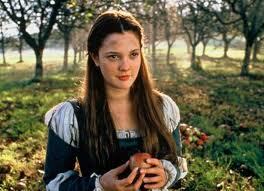 Because she has a smaller role, she is more able to find the right balance of melodrama and subtlety required. Similarly, the roles of Marius and Cosette and the Thenardiers don’t require a great deal of range, and as such Seyfried, Redmayne, Cohen, and Carter do a fine job. Samantha Barks (the lone stage actor) as Eponine, Aaron Tveit as Enjolras, and Daniel Huttlestone as Gavroche are also worthy of mention, and provide some of the best singing. Because of the size of their roles, Jackman and Crowe seem to have a much more difficult task in bringing the characters of Valjean and Javert to the screen. Jackman, of course, is an accomplished stage performer and was the only suitable option for the role of Valjean; I would argue that the same is true of Crowe. They seem to have chosen two different approaches to their roles here, with varying success. Jackman sinks his teeth into his musical numbers and nails them, but I found his acting to be a little too melodramatic and unnatural at times. It’s as though you can see the work he’s putting in. Crowe, on the other hand, gives a much more subtle performance. He does not have as robust a singing voice as might be wanted, and so his interpretation of the character of Javert is much quieter and introspective. Although it is a slightly different take on the character, I found it to be no less enjoyable or effective. It was an appropriate decision given his vocal abilities, and his acting is such that he carries it off well, if a bit too understated for the musical genre. His is the most natural and nuanced performance of the film. While there are things that could be criticized (the afore-mentioned cinematography, a certain awkwardness of transition sequences, a few slow moments here and there), the overall effect is exactly what a fan of the musical would hope for. The decision to sing live, I think, paid off for the film as a whole, and for most of the cast (Crowe perhaps being the exception). It’s a much less polished sound that one would expect, but it fits so well with the story and its themes. Les Mis is a strange entry into the genre: the story (based on the novel by Victor Hugo) is highly dramatic and character-driven; characteristics that do not necessarily lend themselves well to the bombast and spectacle of a stage musical. What Hooper and his actors have tried to do here is bring the focus back around to the individuals and their lives. It makes the film somewhat uneven overall, but ultimately extremely satisfying.